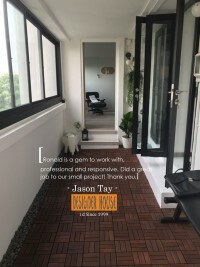 "Ronald from Designer House is down to earth, competent and resourceful." 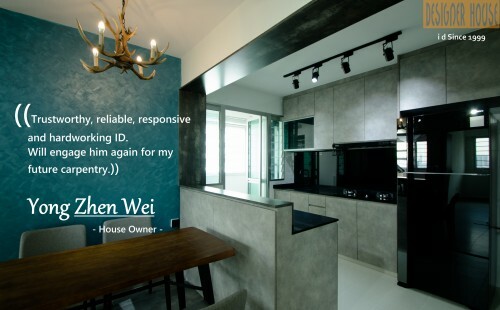 " I would highly recommend this company to my friends "
"Very professional, sincere and prompt"
Incorporated in 1999, Designer House has built an astounding reputation as an Interior Design firm during its years of operation. We specialised in hacking & demolishing works, tiling, carpentry, plumbing, electrical, partitioning, ceiling works, paining, windows/grilles and many more. Regardless of your choice of work, whether if you want to transform your space into a fortress or spice up your office with a luxurious touch, we have the right solution for you. Not just based in Singapore, we have also expanded our flagships to Hong Kong, Macau and Shanghai. 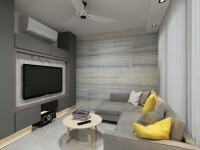 With an extensive range of experience and a dedicated team of designers and contractors, Designer House is ready to assist you with your renovating needs.